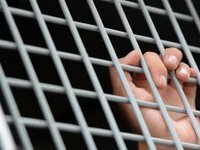 Mariupol's Ordzhonikidze district court has sentenced a citizen of the Russian Federation who fought against the Ukrainian army in Donbas on the side of "Donetsk People's Republic" ("DPR") terrorists to 10 years in prison. "In February 2017, a former Russian serviceman, being tired of lack of money, decided to take advantage of his military skills and went to the occupied territory of Donetsk region, where he joined the ranks of an illegal armed formation of the 'DPR' terrorist organization to take part in hostilities against the Armed Forces of Ukraine," the press service of the Prosecutor's Office of Donetsk region said on Tuesday. According to the prosecutor's office, the Russian illegally crossed the state border of Ukraine and arrived in Donetsk, where he went to the so-called "DPR" military enlistment office. He joined the 5th Oplot detached motorized rifle brigade of the so-called "DPR Ministry of Defense." He became a gunner, they gave him weapons and ammunition. The mercenary signed a contract with agreed pay. From February to March 2017, he was participating in fights against the Ukrainian army on the side of the "DPR." "In April 2017, the fighter was detained by Ukrainian servicemen and handed over to the [Ukrainian] law enforcement agencies. During the pretrial investigation, the Russian citizen was remanded in custody at the request of the Prosecutor's Office of Donetsk region," the prosecutor's office said. The court found the Russian mercenary guilty of crimes under Part 1 of Article 258-3 (participation in a terrorist organization), Part 1 of Article 263 (illegal possession of weapons) and Part 1 of Article 321-1 (illegal transfer of persons through the state border of Ukraine) of the Criminal Code of Ukraine and sentenced him to 10 years' imprisonment with confiscation of all property belonging to him.